You're ready for the Cloud. You're ready for the Cloud. How do you start? You’re ready to start taking advantage of the Cloud—how do you get up and running fast? 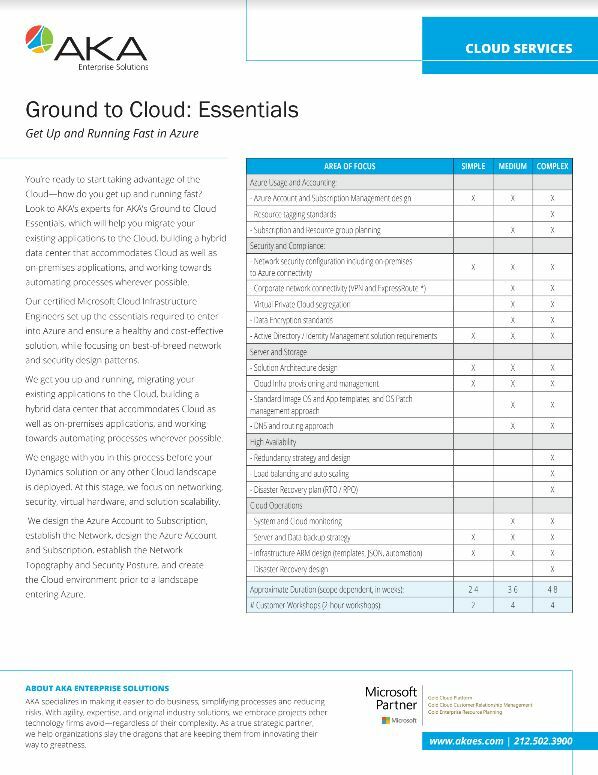 Look to AKA’s experts for AKA’s Ground to Cloud Essentials, which will help you migrate your existing applications to the Cloud, building a hybrid data center that accommodates Cloud as well as on-premises applications, and working towards automating processes wherever possible. Our certified Microsoft Cloud Infrastructure Engineers set up the essentials required to enter into Azure and ensure a healthy and cost-effective solution, while focusing on best-of-breed network and security design patterns. We get you up and running, migrating your existing applications to the Cloud, building a hybrid data center that accommodates Cloud as well as on-premises applications, and working towards automating processes wherever possible. 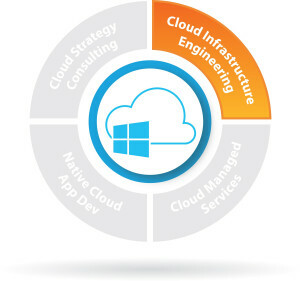 We engage with you in this process before your Dynamics solution or any other Cloud landscape is deployed. At this stage, we focus on networking, security, virtual hardware, and solution scalability. We design the Azure Account to Subscription, establish the Network, design the Azure Account and Subscription, establish the Network Topography and Security Posture, and create the Cloud environment prior to a landscape entering Azure.